Phoenix Forklift Certification, Get Forklift Training in AZ! 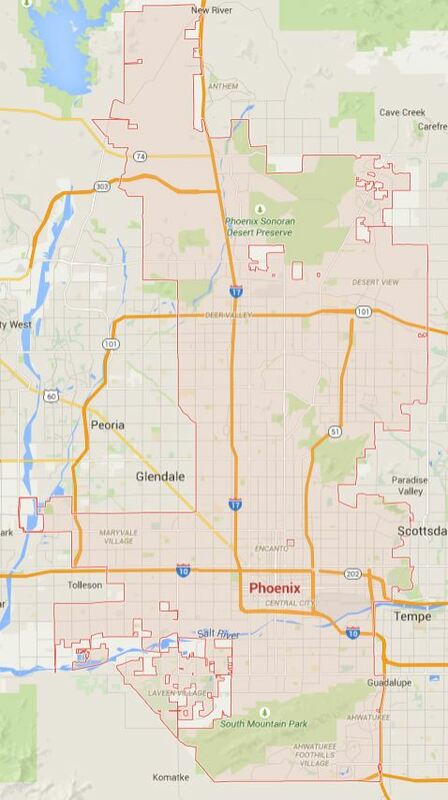 Phoenix, the largest city in Arizona, boasts significant industrial might for a relatively “small” urban region. The city is home to a handful of Fortune 500 companies, and Phoenix also enjoys strong transportation, distribution and natural resource commerce. With Phoenix’s skyrocketing growth rates in the past few decades, the city’s job market has remained hyper-competitive. In the increasingly specialized forklift industryemployers are still required to provide Phoenix forklift certification for their employees.. ForkliftCertification.com, the online leader in training with OSHA content, provides the best training at affordable prices. FLC’s popular training packages (Train a Trainer, Training Kit and our value-added Bundle Package) allow you and your employer to complete training courses at your own leisure. No strict schedules. No expensive sessions. Just up-front, honest training material, created by the industry’s foremost OSHA experts. If you need to become compliant in Arizona or the greater Phoenix area, sign up for our forklift training in Phoenix, AZ today! Why Get a Phoenix Forklift Certification? Forklifts can be dangerous and are responsible for many accidents every year. While the top documented causes of injuries and fatalities are tip-overs, collisions, and fatal crushing, the actual cause of many of these accidents is operator error. Forklift certification in Phoenix teaches workers how to avoid hazards that cause accidents and incur costly expenses for employers, making it your ticket to your forklift career. Additionally, OSHA cracks down on workplaces that hire untrained and uncertified employees. What this means is that employers could be fined thousands of dollars by OSHA, in the event of an accident or injury. Staying out of trouble with OSHA is just one more reason to get your forklift certification in Phoenix. From extensive legal action to avoiding heavy fines and penalties, it simply makes sense to take your forklift training in Phoenix, AZ with FLC today. With FLC’s Phoenix forklift certification, your company will save money in the long run, and also benefit in the short term with a much safer day-to-day working environment. Invest wisely – sign up with FLC today for forklift certification in Phoenix. Protecting your safety is the most important reason to complete a Phoenix forklift certification, but there are actually many reasons why it can benefit your career and financial standing. Improve work performance and boost your productivity! Operators with a Phoenix forklift certification are more efficient and make fewer mistakes than workers without training. You will be able to operate forklifts safely and faster, and become an asset in the eyes of your employer. Protect your life and prevent accidents. When you get your forklift certification, everyone is compliant with safety guidelines and will be able to help reduce injuries and penalties from government agencies. This benefits the entire workplace, not just your forklift operators! Set yourself above other job applicants. Forklift certification Phoenix sets you apart from other job applicants and qualifies you for the best positions. There are many forklift jobs available in Phoenix, but only the best jobs – like those which include paid vacation – are secured by a certain type of forklift job applicant. And that applicant has all the most recent training! Qualify for higher paying work and future promotions! Forklift training in Phoenix demonstrates a higher level of understanding of forklift operation and will qualify you for higher-paying jobs, more responsibilities, and the potential for promotions in the future. Enjoy a personally rewarding career. When you complete your Phoenix forklift certification, you would have accomplished something that is very valuable and important for your health and safety. You will open the door to many lucrative opportunities and will enjoy a stable, high demand, and rewarding career for life. There are a number of warehouses and facilities in Phoenix that are always seeking forklift operators, such as Nesco Resource Phoenix, Hensley Beverage Company, and Randstad Arizona Region. As a hub for manufacturing, construction, and airports, you’ll find ample employment opportunities in a variety of sectors. Any job that requires the use of a powered industrial truck (the official OSHA term for forklifts and pallet jacks) also demands OSHA compliance. No other online training solution provides the convenience, comprehensive training material, and lifetime support as FLC. We’re the #1 choice for forklift training in Phoenix, AZ. If you hire forklift operators in the greater Phoenix region and across Arizona, you’ll need them to complete forklift training and receive their Phoenix forklift certification. FLC makes the process effortless and hassle-free. We’re the most affordable option for forklift certification in Phoenix! Before you choose just any program that says “forklift certification Phoenix,” you need to make sure it’s completely OSHA-compliant. Training program structure includes formal written instructions, practical training with demonstrations led by the instructor and exercises performed by the trainee, and an evaluation demonstrating the student’s skills and knowledge. Training content must cover both truck-related and workplace-related topics. Our Phoenix forklift certification and training ensure workers are totally prepared to operate forklifts and prevent accidents. It’s also the only type of training that will keep businesses from getting fined by OSHA. Luckily for you, ForkliftCertification.com is 100% OSHA-compliant, covering all of these important topics and training elements. You can save time and money by choosing our convenient online course, and remain completely compliant with industry standards with forklift certification Phoenix. Get yourself or your entire workplace trained and certified with the Phoenix forklift certification program from FLC. In only about one hour from any device with an internet connection, workers can complete their training and print their operator certification card. You’ll also be 100% OSHA-compliant and will be able to keep fines and legalities out of your workplace. Costing only $299, our complete Training Kit is one of the most affordable and cost-effective Phoenix forklift certification programs available. When you choose us for initial forklift training, you’ll receive three-year renewals free for life! Choose our training kit, train a trainer kit, or bundle package to get started on ForkliftCertification.com today! In only about one hour from a smartphone, laptop, or tablet, your employees will have their forklift certification Phoenix printed and be ready to operate forklifts. Choose a training module by itself for the specific type of forklift training you need and don’t pay for what you don’t. Alternatively, purchase the training kit and save with the bundled price for all types of forklifts. Skip any travel to an offsite facility or covering time-off costs for employees, and save money by choosing our online automated course over classroom training. We are completely OSHA-compliant and will teach everything necessary to operate forklifts safely and properly. Create an account today and receive your Phoenix forklift certification in less than one afternoon! FLC has been the most trusted training partner for companies all over Arizona (and the U.S.) since 2002. See why many firms lrely on us for forklift certification in Phoenix. Our OSHA-compliant forklift training materials show anyone how to safely and effectively operate a forklfit – call us today! Our OSHA training experts are available at (888) 278-8896, and you can also visit the FLC contact page for additional information. The entire FLC team looks forward to working with you to become OSHA compliant – thanks for visiting the premier online OSHA training provider in Phoenix, AZ!